IWASSA Co.: "Dell" Alienware launches apparatus to compete with the "Xbox" and "PlayStation"
"Dell" Alienware launches apparatus to compete with the "Xbox" and "PlayStation"
In spite of the large number of users of the famous gaming platforms such as "Xbox" offered by the company, "Microsoft's" platform "PlayStation" global company "Sony". 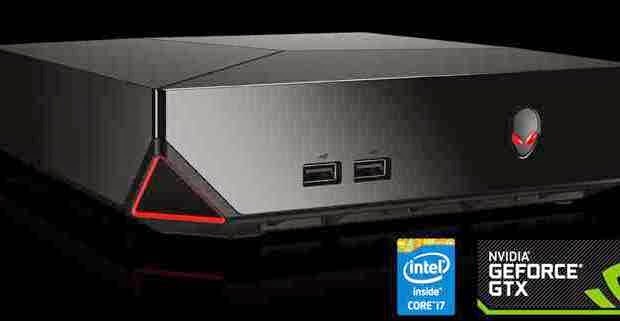 Because of the high demand in the last period on the purchase of these devices "Xbox" and "PlayStation requests" This has raised a strong desire to have the leading processors "Dell" industry company, where she entered the arena competition, the new head start to offer its users a platform games of a different kind of games computer "Alienware Alpha". This device comes with a user interface specifically designed for compatibility with the device "Xbox 360 joystick." As the "dell" supplied its new processor core i3, in addition to 4 GB of random memory associated with 500 GB of internal storage capacity, have been identified, and the price of this device to an amount not exceeding US $ 550. As for the operating system is "Windows 8.1" from Microsoft. 2 terabytes of internal storage capacity.